It is now time to update the plan. Much has changed in the last years, and to support the demands of modern skiing including expanding youth programs and taking the climate changes into account, we need to improve the trail system. The improvements break into four categories: 1) Restoration and improvement of existing trails, 2) trail modifications including moving a section of the snowmobile trail, 3) providing lighting for a portion of the trails, and 4) implementing snow making for a section of the trail. With the snow conditions being marginal, it is critical to have a full width (15’), level surface in order to be able to groom properly. With the current trail condition, a large portion of the trail has bumps, dips, center depth, and side slope. The trails also need select straightening to conform to current standards for skate skiing. Lastly, a few sections of the trails need improvement in terms of shade cover. A combination of minor re-routing (particularly the upper section of the Brown trail) and tree planting will have a significant impact on the ability to maintain snow cover during warm spells. 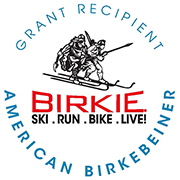 This is a carryover from the prior plan and is a key to improve the quality of skiing at Greenbush. It would also free up a very nice addition to the ski trail system, starting at the intersection of the Brown loop and re-join at the connecting point of the current Bridle Trail, and follow it south to its intersection with the Green Trail. Only a minimum amount of grading would be required to widen and level the existing Bridle Trail. The proposal is to start by installing lights on the Brown trail. This section is already wide and is used extensively for instruction. A natural second stage would be a loop backward on the purple to the green cut-off, following the green to the upper parking lot and returning down the purple to the lower parking lot. Without consistent snow conditions, cross country skiing will not be around as a sport for the masses and competitive skiers alike. On the other hand, a centrally located facility with consistent snow conditions will allow for the development of the sport, with benefits ranging from public health to healthy activities for youth. Greenbush is ideally situated to implement snow making. The colder micro-climate, the central location and the ability to keep snow due to excellent tree cover, all favor the implementation of a snow making set-up. The successful places that make snow for cross country skiing use the man-made snow as a base in a limited area so that it can withstand thaws and serve as a foundation for natural snow. In Greenbush, the natural application is two-fold; 1) to cover the Brown trail which will be lit, and 2) to cover select, exposed areas on the rest of the trails as capacity permits. Upon approval of the plan by the club, detailed budgets will be developed with suggested funding sources and the plan will be presented to the DNR.